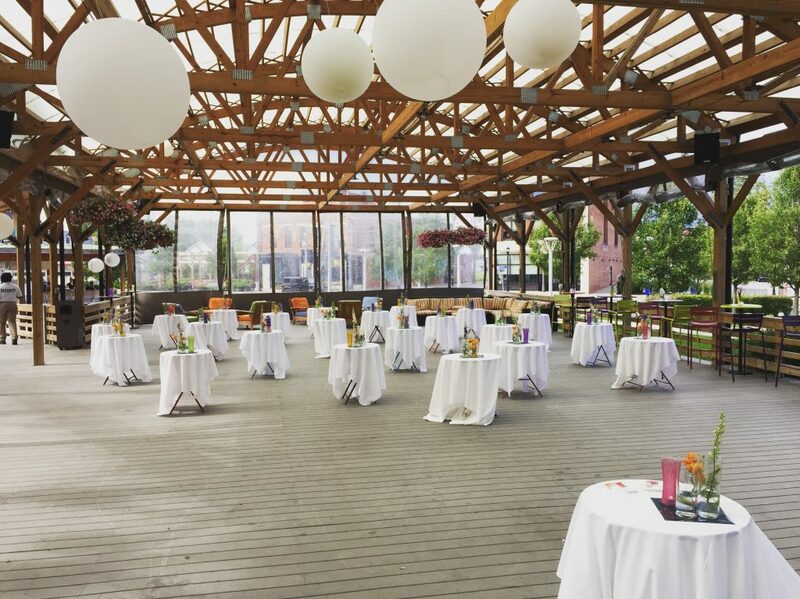 Larkin Square provides a unique indoor and outdoor alternative to formal celebrations in an exciting urban setting. Larkin Square is the perfect canvas to design the special occasion suited to your style and personality. Perfect for rehearsal dinners, engagement parties, ceremonies and receptions. Your one stop shop in Larkinville can do it all! Sundays and Mondays across the street at the Hydraulic Hearth is an additional venue for private events. Larkin Square boasts a family-friendly environment dotted with whimsical furniture, lawn games and a built-in sound system with microphone and stage suitable for any form of entertainment. Our award-winning gardens are an added feature of Larkin Square, adding additional style to your special day. For a bit of fun unique to Larkinville, we can even bring out the hula-hoops for all ages to enjoy. 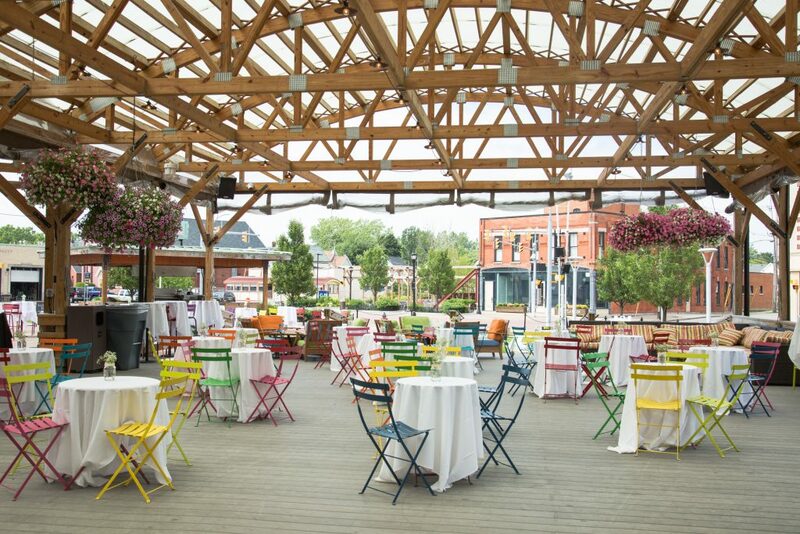 The Filling Station at Larkin Square offers full service catering with unique menus options ranging from high-end cocktail parties to casual BBQ’s and cookouts. Contact us today to learn more about hosting your wedding, ceremony or special occasion at Larkin Square.